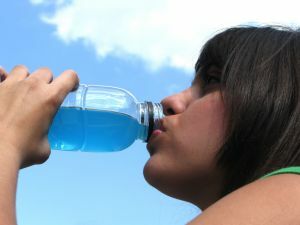 Energy drinks are advertised as a great boost of energy and many see them that way. They are often consumed by students interested in staying up late to study or have fun, or by adults who have busy and harried lives and who need a little pick-me-up. In some cases, energy drinks are even consumed with alcohol, so the drink can act as a stimulant to keep you awake even as the depressant of alcohol is consumed. Unfortunately, energy drinks may give you a little more than the pick-me-up you expect. Monster Energy drinks and other caffeine-boosting drinks such as 5-Hour Energy Shots or Rockstar Energy have been linked to both serious illnesses and death. Our Foxboro personal injury attorneys urge everyone to understand that Monster Energy drinks are dangerous and to make smart and fully informed choices about whether taking a Monster drink is right for you. The death and injury reports are called Adverse Event Reports (ARE). The complaints and reports of death or injury are filed with the FDA by injured patients or by family members of those who have been harmed. In the case of the energy drinks, they have triggered an FDA investigation intended to determine if energy drinks are dangerous and need to be recalled or more tightly regulated. Why Are Monster Energy Drinks Dangerous? Monster and other energy drinks are dangerous because of the high amounts of caffeine that they contain. When a person consumes too much caffeine, his or her heart rate can speed up. Caffeine toxicity is a common result of excess caffeine and a patient may experience significant medical complications or even death due to consuming too much caffeine. Energy drinks make it much easier for a person to overdose on caffeine in a devastating or perhaps fatal way. The drinks make it easier because so much caffeine is packed into the little bottles, making it possible to get a lot of caffeine into your system in a very short time. Unfortunately, the full extent of the caffeine in many of the energy drinks isn’t known since the current rules indicate that manufacturers only have to report caffeine added and not caffeine that is naturally occurring in other products within the drink. Those consuming the energy drink may also not have been properly warned about what the side effects could mean for them. Unless or until tougher regulations are passed or energy drinks taken from the market, consumers need to be careful in drinking these drinks and need to make safety a top priority over a quick caffeine-induced state. If you or a loved one has been injured by energy drinks in the Greater Boston area, contact the personal injury attorneys at the Law Offices of Jeffrey S. Glassman, LLC for a free consultation to discuss your claim. Call 1-877-617-5333.